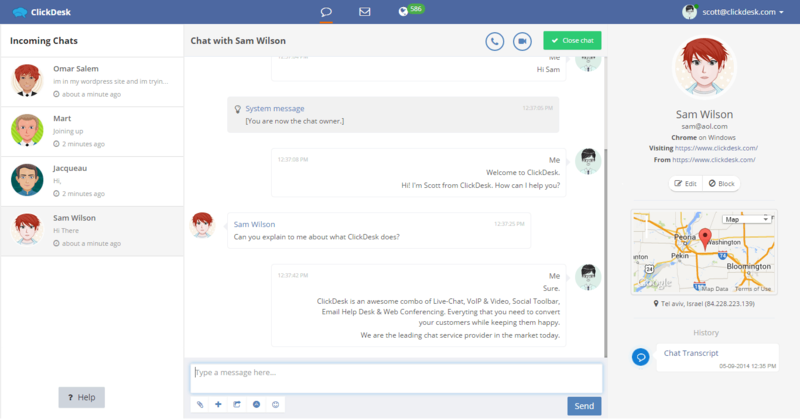 ClickDesk is both a live chat and help desk software that helps boosting customer support system with real-time troubleshooting and chatting facility. It allows doing video chat, helps in transferring or routing tickets or calls, facilitates in geo targeting, supports doing persistent chat etc. Users can also send proactive invitation using this live chat software. ClickDesk contains a few essential help desk features like it enjoys email integration and can track issues or tickets. It has social media integration where your customers can tweet you on your chat widget and enables you to reachout to your customers on other social networking sites. How much does ClickDesk cost ? 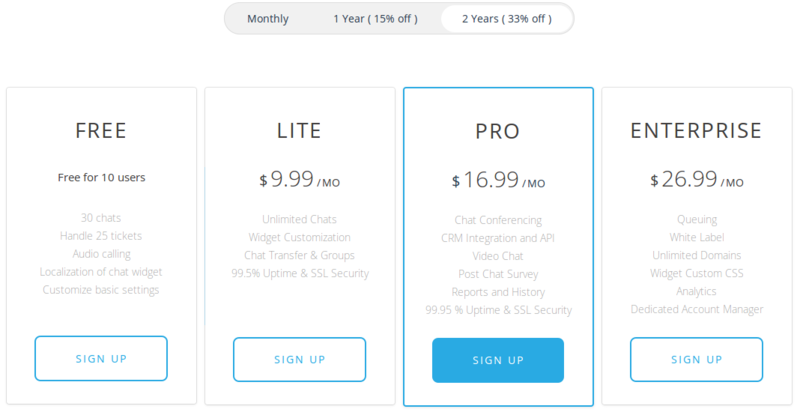 The pricing for ClickDesk starts at $10.0 per month. ClickDesk has 6 different plans such as - Lite at $10.0 per month, Pro at $17.0 per month, Enterprise at $27.0 per month, Professional (Team Plan) at $30.0 per month, Growing Business (Team Plan) at $84.0 per month and Enterprise (Team Plan) at $234.0 per month. ClickDesk also offers a Free Plan with limited features. Disclaimer: The pricing details were last updated on 23/07/2018 from the vendor website and may be different from actual. Please confirm with the vendor website before purchasing. 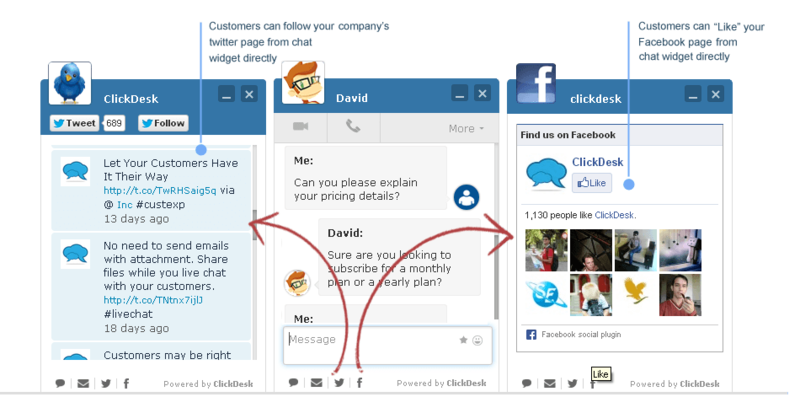 ""Simple to talk with clients ""
I like the manner in which they incorporate Chat, Helpdesk, Call and Social commitment across the board little box. I surmise that will be the pattern later on. What's more, the (insert) content burden time is additionally extremely quick. Incorporation with prevalent Business Applications is most likely an or more. Evaluating is reasonable.
" Practical and simple way to work"
Easy to use and cost effective live chat that we use for our company. Allows us to respond promptly to customer issues, answer questions and increase sales. ClickDesk really pushes you hard and incessantly to upgrade, which gets a bit annoying after a while. 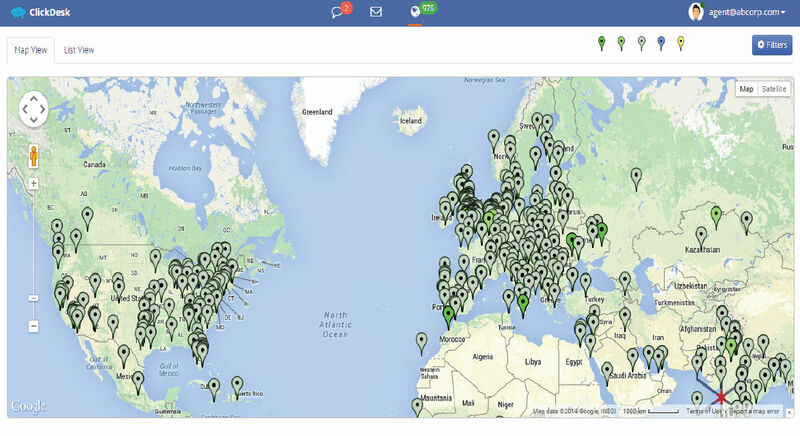 This tool helps me to communicate with my collagues from everywhere. The program is Very simple and easy to use. Very practicable and not difficult to learn. We offer the lessons for out team. Sometimes is dificultt to understand all sentences. I need a translation from german to Englisch or Polish. Better quality of communication system. allows our team leaders to interact with leads and customers, as they search and research on our site. They are able to see what areas of the country the conversation is starting in to enable them to connect the customer to the sales rep that is in that region. We also appreciate the ease for our managers to sign-in and out and rotate job duties. we all receive emails if a chat is missed, and this allows for whomever is best equipped to assist the customer to respond to their needs. Clickdesk allows our account managers to interact with leads and customers, as they are searching and researching on our website and in our e-commerce store. They are able to see what areas of the country the conversation is originating to enable them to connect the customer to the sales representative that is in that region. We also appreciate how easy it is for our account managers to sign-in and out and rotate their responsibilities. Finally we love that we all get an email if a chat is missed, that way whoever is best equipped to answer or assist the customer can respond to the customer or lead. There is very little we dislike about Clickdesk. Our team wishes that the avatars were more realistic and had better options, or that there was a built-in option for easily creating one. Having more professional looking images on Clickdesk, might aid in making a strong first impression. 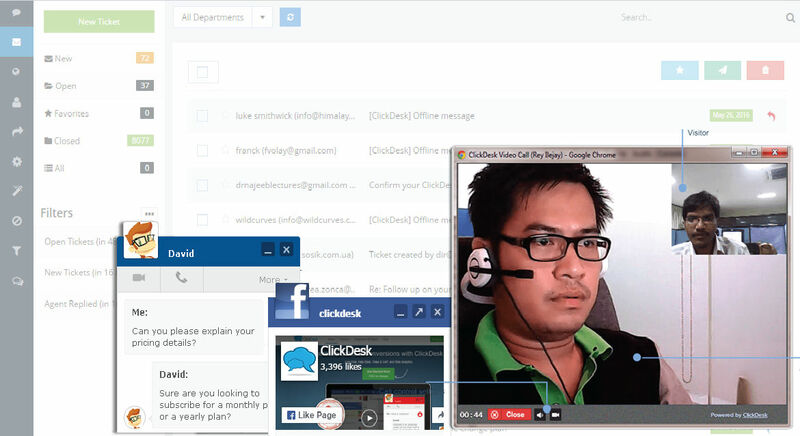 Customer service and account management are the main ways we utilize Clickdesk. It enables our sales team to connect with our customers to answer questions, solve problems, look into orders, point them in the right direction, and address any current or potential needs our clients might have. Pros: Easy to use and cost effective live chat that we use for our ecommerce store. Allows us to respond promptly to customer issues, answer questions and increase sales. Cons: Would benefit from a screen-sharing or file-sharing feature. ClickDesk has met all of expectations and I have enjoyed the experience. At first, it is difficult to understand where everything is and how to navigate certain things. Everything is in one spot and there's no reason to download add ons.